Greetings from the Ode family! March 5, 2011 and our 2nd store opened in Enumclaw, December 15, 2012. 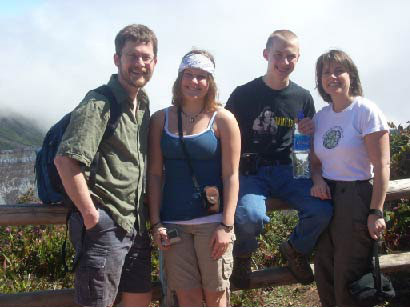 Kim and Eric, along with their children Kaleb and Lauren, are actively involved in supporting local businesses and the communities they serve. Kim is a Holistic Health Practitioner and Certified Herbalist with over 30 years experience in the natural health industry. Many of you already know Kim, but she can't wait to meet the rest of you. She is so looking forward to working with you on your various health goals and challenges. Check out our newest way to help you meet your health goals, see the description of our online health assessment. You may have met Eric at a school, library or local festival. Eric is a published author, poet, singer, songwriter and educator. You can learn more about all he does at www.ericode.com. He has also given generously of his time and talents by doing much of the construction and build out of the display units that give Jubilee Naturals locations such a warm and inviting atmosphere. Thank you to my talented husband and best friend. Foods and Supplements not modified through gene manipulation matter to us! Jubilee Naturals is a Non-GMO Project Verified business. Companies enrolled in the Non-GMO Project are serious about keeping GMOs out and work hard to do so. 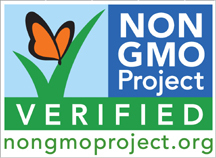 To better understand what this verification means, please follow this link to download a Non-GMO Project FAQ brochure. Organic and NON GMO in foods and supplements! Health is our life and our business, we look forward to working with you through our stores.